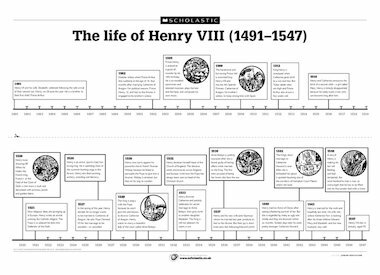 A timeline of key events in King Henry VIII’s life. This is good for chronology and studying the time line of events in Henry VIII reign. However when you try to print it only the text boxes come out – no words so pretty useless unless you are using it on a white board.